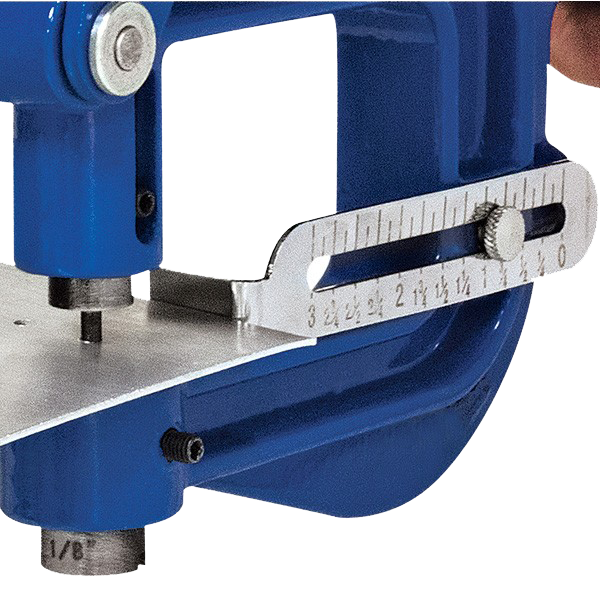 This 17 piece heavy duty power punch kit provides over 2400 pounds of punching power for accurate holes. 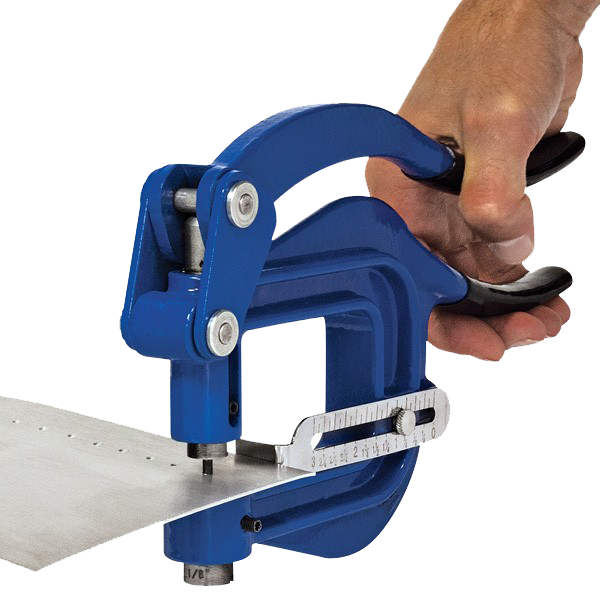 The EASTWOOD METAL HAND PUNCH is specifically designed for the DIY Fabricator. It features a maximum punching pressure of 1.2 tons and is capable of punching a 1/8” hole in up to 16 gauge mild steel. Always wear ANSI rated safety glasses and gloves while using. 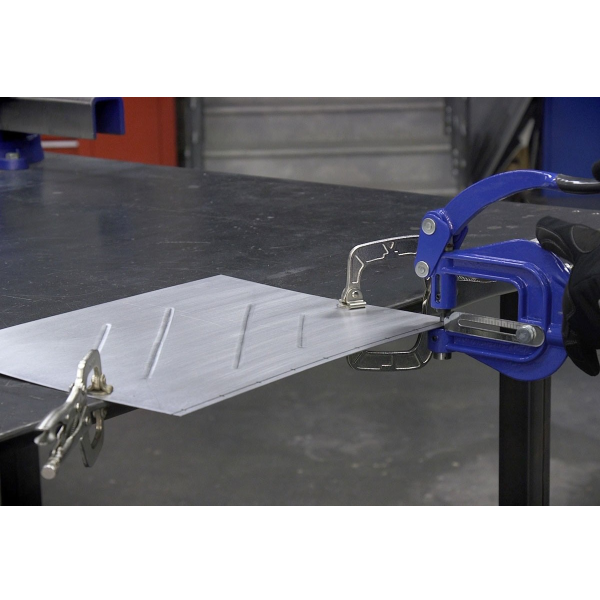 Punch Holes in Steel, Aluminum & Brass up to 16 Gauge! Metal Hand Punch from Eastwood! 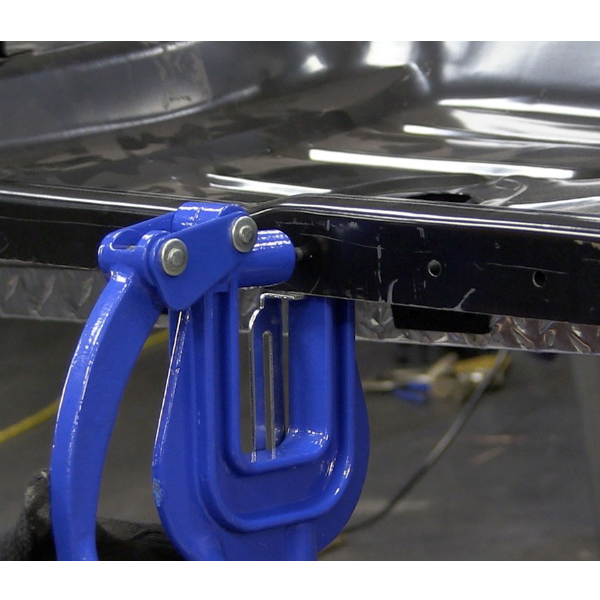 In this video we go over the Eastwood Metal Hand Punch, great for prepping floor pans for welding! 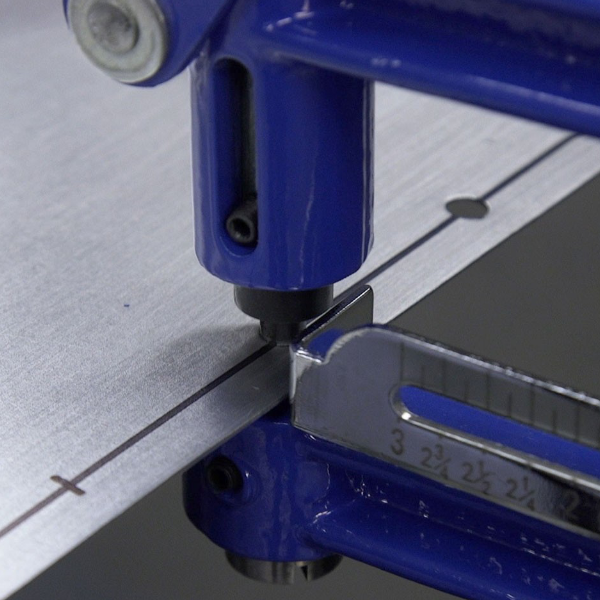 You can even punch 1/8" holes in up to 16 gauge steel! NEW TOOL GOOD !!!!! OLD TOOL BAD !!!!!! I bought the old model of this tool and found it to be so poorly designed that it would not function at all. The maker simply missed some steps. I called EASTWOOD to tell them to check their stock and pull them because they were not usable and they were sure to disappoint anyone that bought one. After several months i received a NEW REDESIGNED model of the tool. Eastwood caught up to, and corrected the problem. The NEW MODEL of this punch is a good value and works very well.. The first one we got had some issues, which happens, and the customer support was great to help us out. New one is working great cutting some thin brass sheets. This tool performs adequately. No complaints about punch alignment and the sharp point on the punch die helps to locate it on a center punched mark. The adjustable guide bar is also a plus. I've been punching 1/8 holes in .032 2024 T3 aluminum without any problems. I haven't tried the larger punches or done steel yet, but I suspect the leverage the handles provide may be a bit short. A larger bottom flange would help when clamping this tool in a vice. It is easier to control when clamped in a vice. 1/10th the price of a Whitney and uses the same Dies... Once you figure out how to align the Dies it works perfect. I just leave the dies loose and spin them until they press deep enough and they pass without binding... Once you use them a while they fit better... Nice Crisp holes. Works well on the 20ga I tried it on. made well heavy duty. nice selection on hole sizes. that is nice. Purchased to punch holes in sheet metal for plug welding. For the price you can't beat it. May not be suitable for a production shop but for the DIY'er that may use it once in awhile it is an excellent tool at a great value.